Savage! has been one of the most entertaining teams to watch in this season’s Rocket League’s Rival Series. The unsigned European squad currently sits in first place and has scored some ridiculously massive goals… and their Twitter account routinely replies “Savage!”, referencing the game’s familiar quick chat line and their apparent namesake. But if you haven’t been following Rocket League’s second-tier league this season, then you might be surprised to find out exactly who is on this team. 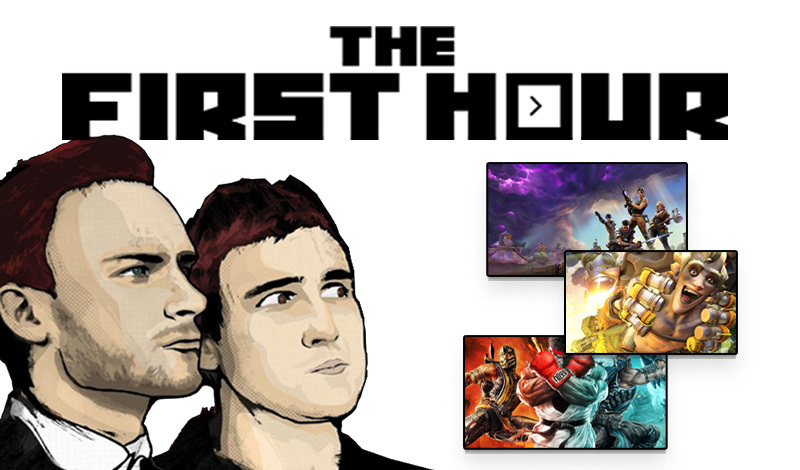 It’s headlined by David “Deevo” Morrow, a past Rocket League Championship Series winner who last played for Team Envy, as well as Daniel “Bluey” Bluett, the high-flying ex-Paris Saint-Germain star who won DreamHack Leipzig with them earlier this year. And to top it off, these two RLCS veterans have teamed with a total rookie, 15-year-old Alpha54. Deevo and Bluey both bounced out of their RLCS teams after last season, and both now have something to prove. 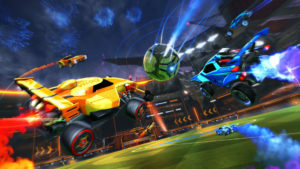 But along with Alpha54, they’re gelling together and seemingly having a blast – and now they have a chance to make the promotion tournament and try to vault back into the RLCS. We spoke with Savage! ahead of Friday’s pivotal final league play match. Both Deevo and Bluey rocketed to pro success. Deevo landed in the grand finals in his very first season with Mockit Aces, and then harnessed his acrobatic aerial abilities and double-tap prowess to lead Northern Gaming to the Season 3 championship—and his own MVP medal. But after signing with Team Envy, things went downhill: they finished 2-5 in Season 4 and missed the playoffs. Envy rebounded slightly at 3-4 and a World Championship return last season—but in the offseason, Envy dropped the team and the team dropped Deevo. When we interviewed ex-Envy (now We Dem Girlz) captain Remco “Remkoe” den Boer last month, he suggested that splitting with his past teammate was necessary — he believed that Deevo’s grind had diminished since their championship run. Bluey, on the other hand, blasted into the RLCS in Season 4 as a member of Frontline, which went 6-1 and signed with Paris Saint-Germain before the season was up. 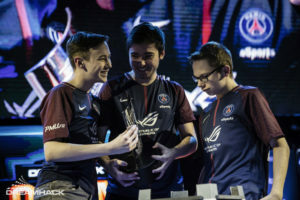 After a 5th-6th finish at both the RLCS World Championship and The ELEAGUE Cup, PSG finally sealed the deal at January’s DreamHack Leipzig with a victory over NA’s then-surging G2 Esports. He had quickly established himself as one of Rocket League’s elite players, and one of the most dynamic on the pitch. But when PSG struggled in RLCS Season 5, Bluey was seen complaining about his teammates and teasing a departure, stoking chatter about discord within PSG. As Season 6 neared, PSG benched him in favour of a new starter. Rather than stay on that RLCS roster and wait for a possible opportunity to start again, Bluey requested his release. 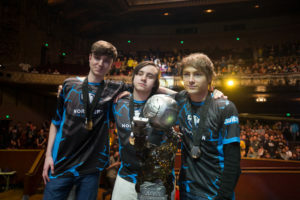 Neither player probably expected to be in this situation following their RLCS success, but the longtime friends saw it as a much-desired opportunity to finally team up together. For Deevo, especially, it was an opportunity to get back to the kind of youthful enthusiasm that made him fall in love with competitive Rocket League in the first place. Given that heartwarming sentiment, it’s easy to see why Savage! is having such a good time together. However, a professional Rocket League team is more than just two players. Instead of trying to team with another ex-RLCS player or someone who’s long been on the bubble, they opted to pick a relative unknown—someone who hadn’t logged a lick of RLCS or Rival Series time in his life. That’s because at age 15, Alpha54 just became eligible to play at the highest level. But Bluey first encountered him as a particularly domineering 1v1 opponent. Alpha54 certainly hasn’t wilted in the brighter spotlight so far. He’s already had a few knockout shots, even landing on our list of September’s top plays — and while Bluey has been the team’s top offensive force thus far, the rookie hasn’t been far behind. A few weeks of Rival Series play is a small sample size, but so far, the young French player has both lived up to the hype and stood tall alongside his estimable English teammates. He’s no weak link. “I feel like everything is happening so fast for me right now that it’s just awesome to experience,” he adds. You’d expect a team with proven RLCS veterans to dominate the Rival Series, but success is hardly assured. Fellow EU team exceL, which features past champion Mark “Markydooda” Exton, just finished 2-5 in the Rival Series after being relegated from the RLCS last season. And over in North America, The Hosses — a team comprised of former RLCS players from Evil Geniuses, Rogue, and CLG – likewise finished 2-5, dropping their last four games. It’s surely easy to lose motivation and momentum once you’re out of the RLCS, but that hasn’t been a problem for Savage! Deevo, whose passion for the game was questioned the last two seasons, appears to be newly inspired. Bluey, who was cast out as a poor team player, could be the catalyst that elevates this new squad back up to the big leagues. And Alpha54, the unproven rookie, is showing exactly why these seasoned pros trusted him as their third. At 5-1, they’re sitting atop the standings after taking out top teams like Method and Team Secret—but it all comes down to this Friday. The last handful of Rival Series matches will determine who finishes Top 2 and makes it into November’s promotion tournament. Facing the 1-4 team The Clappers might seem like an easy way to close out the season, but overconfidence could sink a team in this scenario—and there’s little room for failure. If they win, they’re in. But if they lose, they’ll need help to maintain that Top 2 slot. Both Deevo and Bluey know a thing or two about high-pressure situations, and they’ll surely hope that it’s rubbing off on Alpha54, as well. Prior to last week’s matches, we asked Bluey about the prospect of making the promotion tournament, but he wasn’t ready to jump the gun. He’s trying to keep his mind focused on what’s happening now — and just play well and have fun with his friends.